This week’s travels have taken me back to where I started in Sidney, BC. 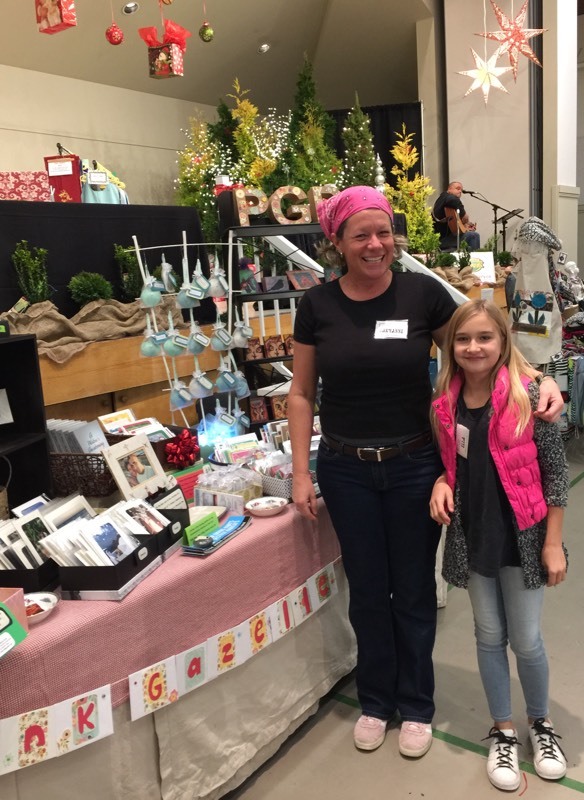 Nov 4th & 5th was the First Chance Christmas Gift Show and we had our Pink Gazelle Cards booth set up for business! 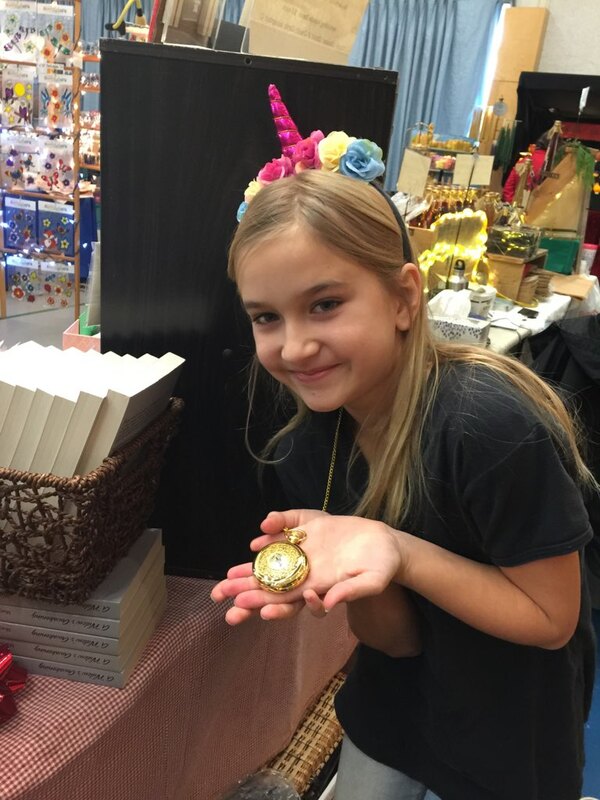 My main helper, Ella (my friends’ Dave & Heathe’s daughter) was a rock star salesperson. Her older sister, Paige, was sick this year so couldn’t help out. Thankfully Ella could…and she was awesome! She worked the entire show and we had a blast. Another helper on Saturday was Harleigh (my friends’ Kristin & Jeff’s daughter). If you are a regular reader of this blog, you may recall that I had a rather lousy attitude after last year’s First Chance show. 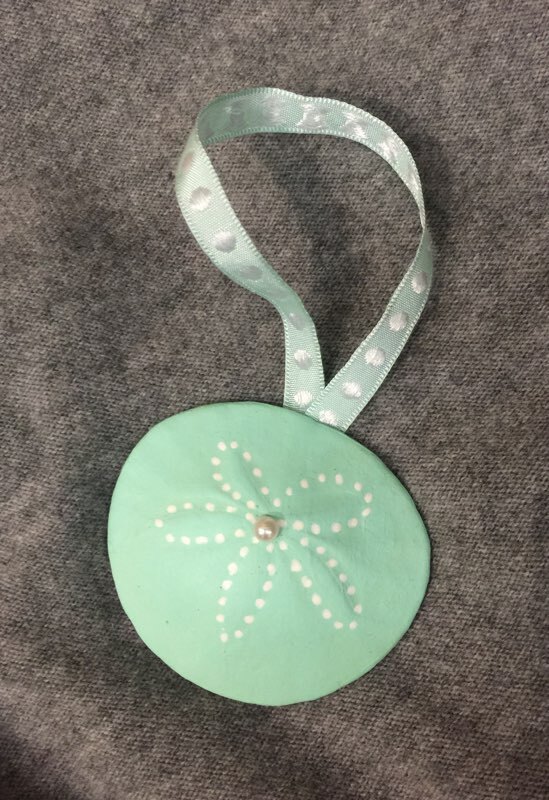 I shared my rant in the blog, Browsers, Buyers & Banning Husband’s – Post Game Analysis of Craft Show. However, now that I am a veteran vendor 🙂 I know what to expect: lots of looky loos and a few buyers here and there. 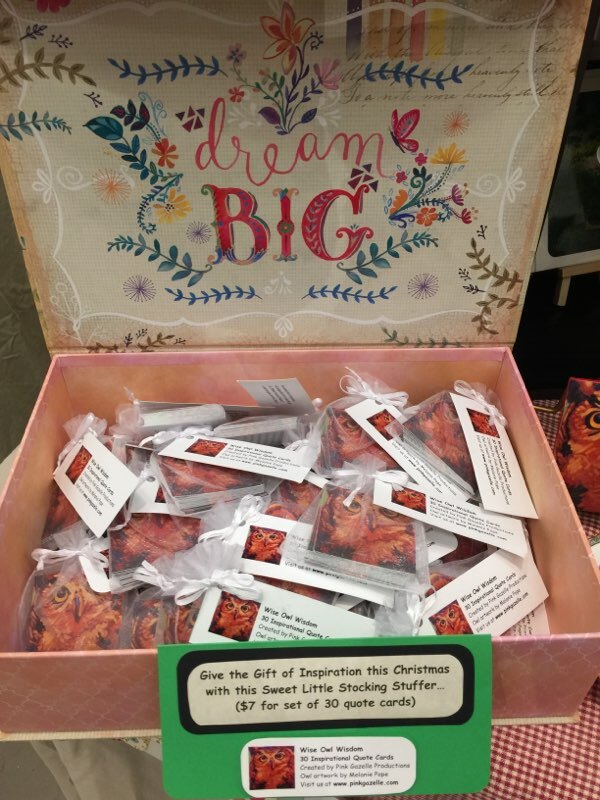 Over the two days we actually did move a fair amount of product but because our items are inexpensive, it takes a lot of sales to bring in the big bucks. 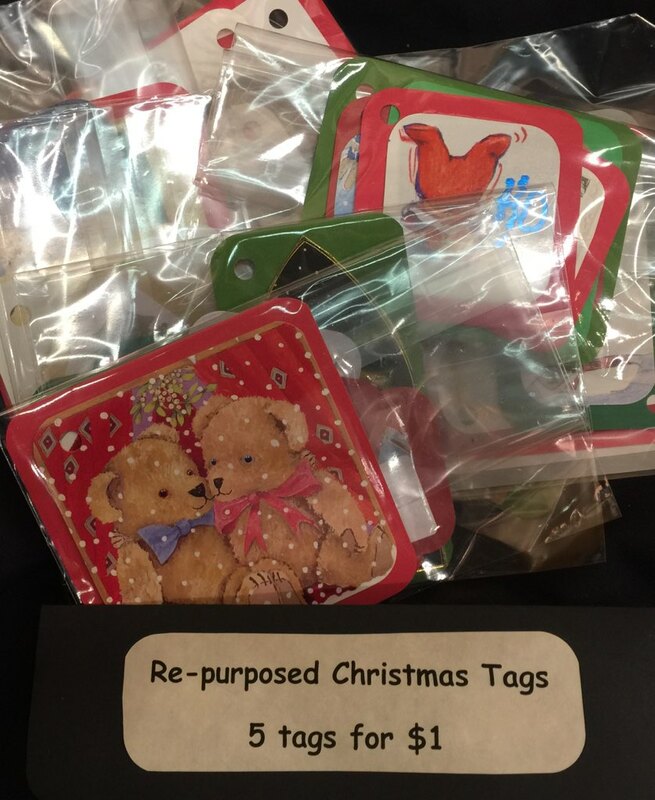 Our re-purposed Christmas cards for example are only $1 each. They get bought up pretty quickly, as people love the concept. 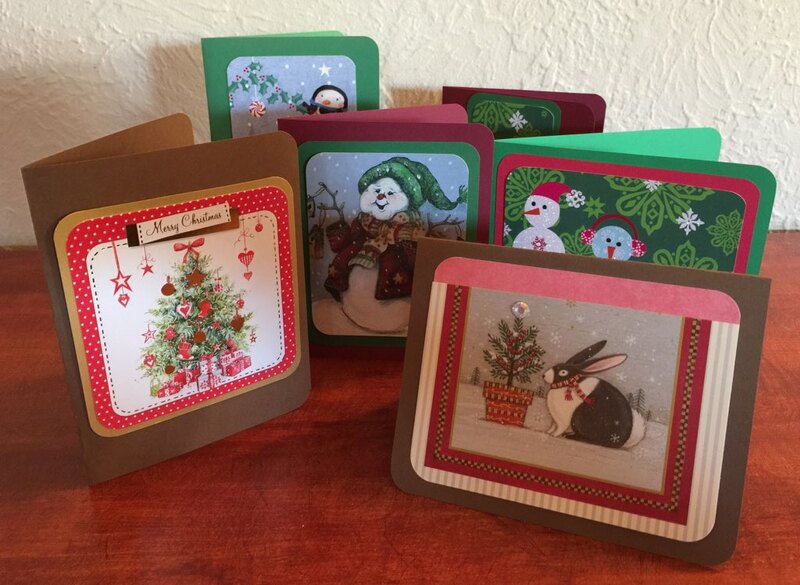 New to our booth this year was re-purposed greeting cards (made out of old thank you and birthday cards, etc). They sell for $2 each and were quite popular. 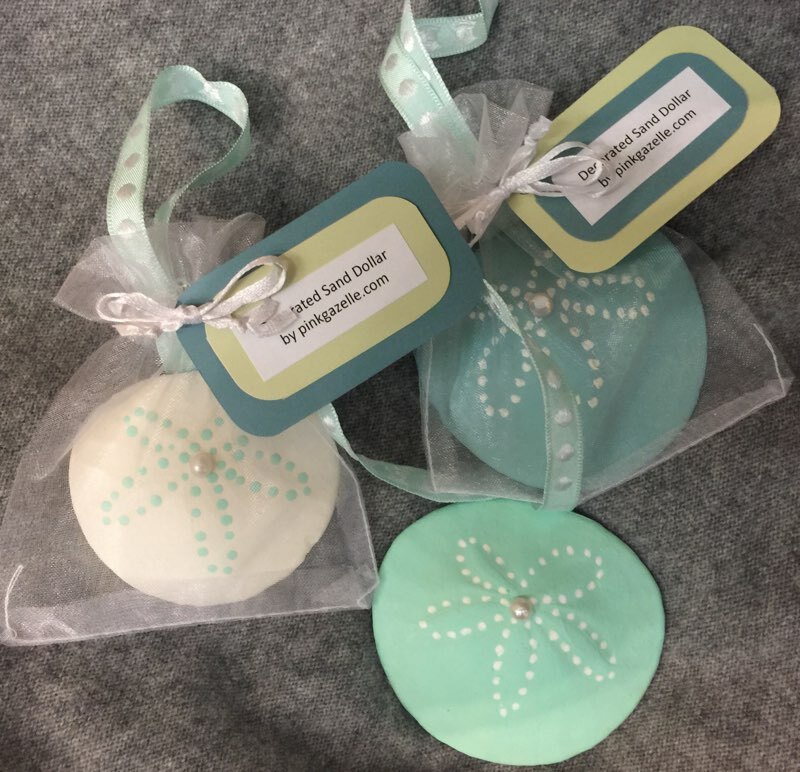 Also new to the Pink Gazelle Cards booth this year were these pretty little sand dollar ornaments (decorated by yours truly). 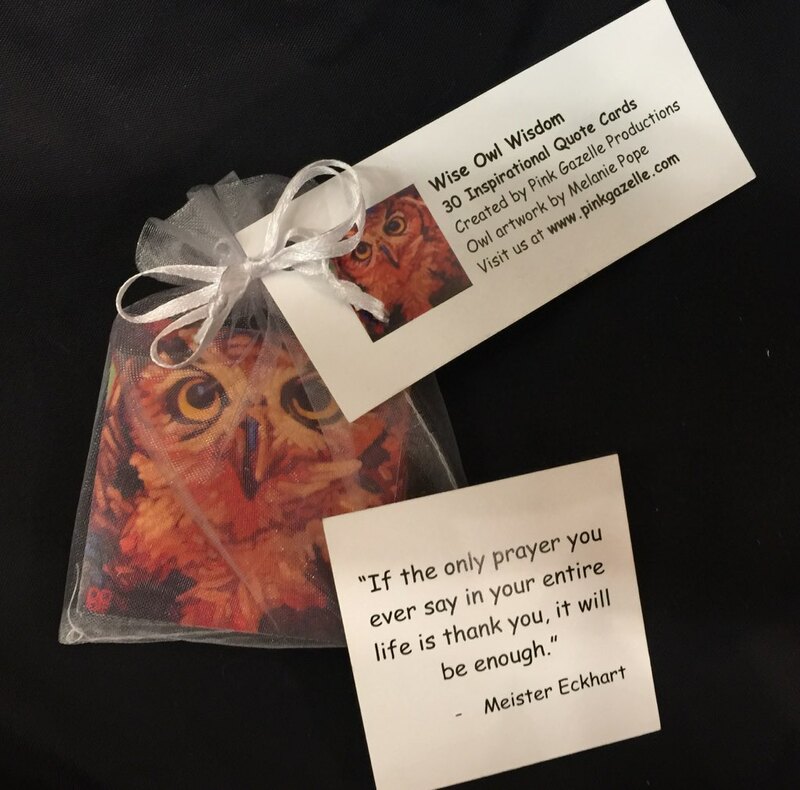 The big seller at First Chance this year was the Wise Owl Wisdom inspirational quote cards. People really like these quote sets, as they make a great gift or stocking stuffer (or to keep for themselves). 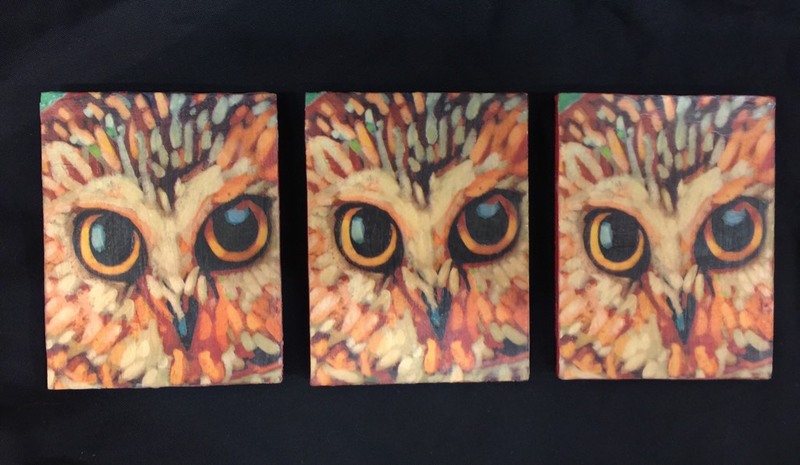 The owl on the front of the card is a print of a painting by my niece, Melanie Pope. 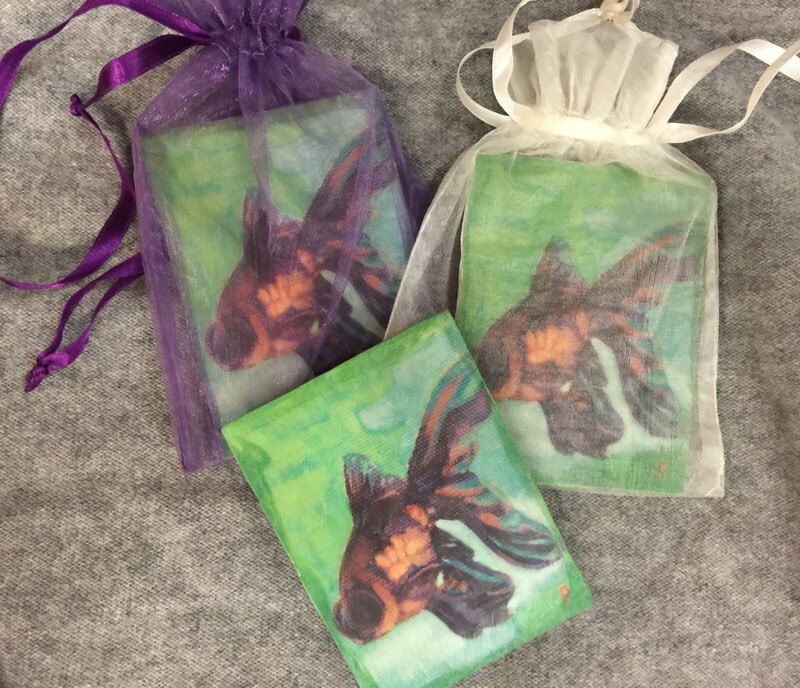 Melanie’s Wax & Tissue prints (owls, goldfish, poppies, birds) are stunning and sold very well last Christmas, so I ordered more for this year. 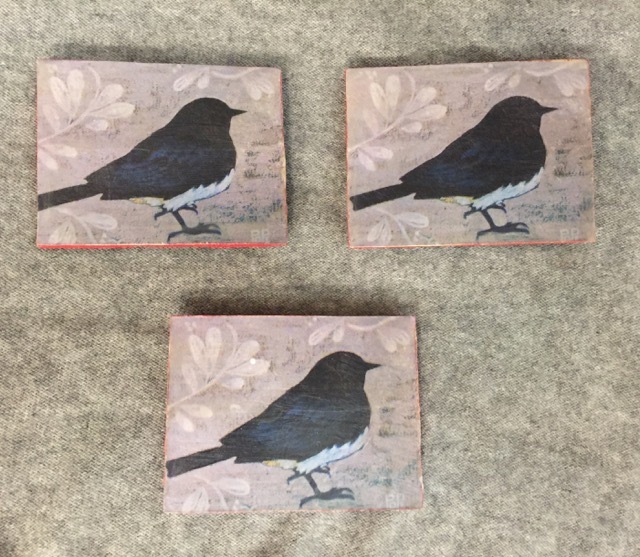 For a detailed description of the Wax & Tissue prints (and the process to make them) and to see more samples, you can check out this blog. 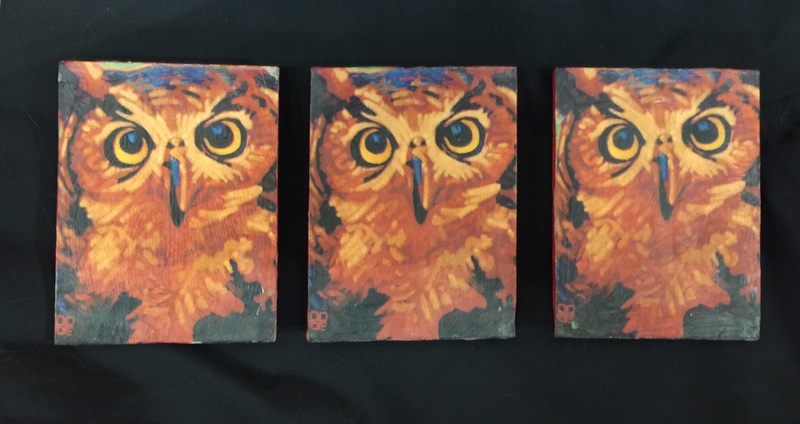 The Wax & Tissue prints are 4 inches x 3 inches and sell for $7 each or 3 for $20. 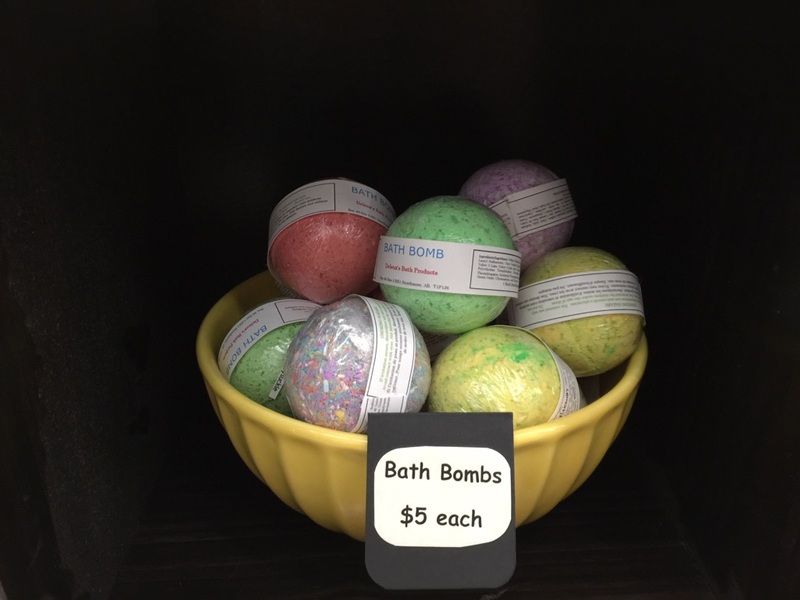 And keeping with the family theme, we were also selling bath bombs made my niece, Laura Pope! 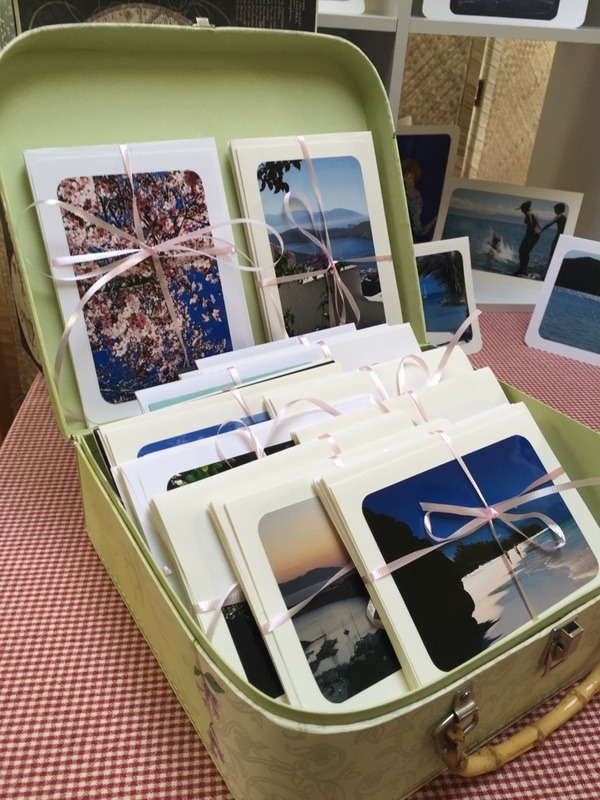 We also sold our photo greeting cards. 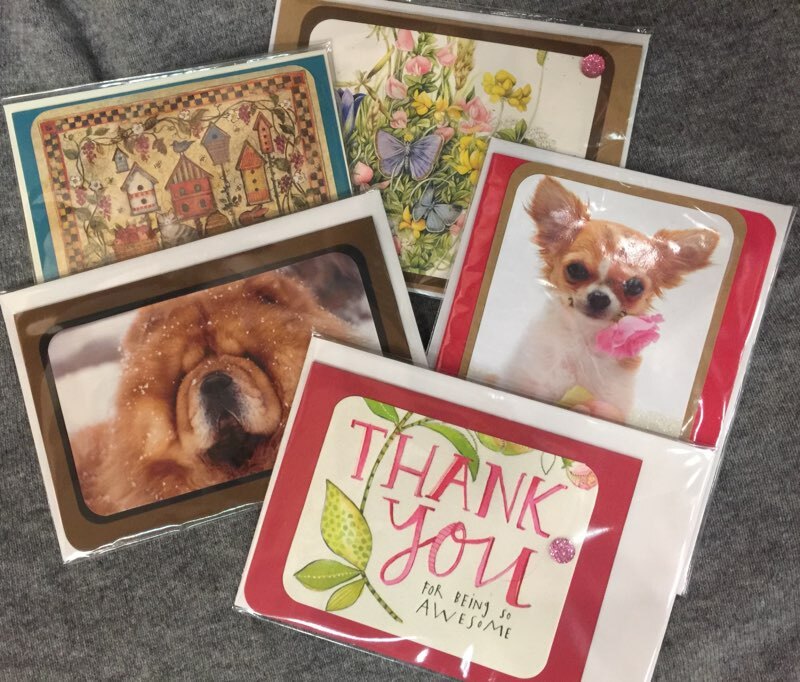 The big sellers this year were the Vancouver Island cards and, of course, the dog cards! *There is free shipping on all products. I thoroughly enjoyed working the First Chance Christmas Show this year. I loved making all the products throughout the year (or ordering them from others) and I was much more relaxed with the set-up (which can get a bit stressful because of the tight timeline on Saturday morning). And when there were slower periods, I took full advantage of this by snapping photos of the booth and products and then promoting the show (and our items) on social media. And low and behold, a few on-line orders came in! Throughout the weekend, I found myself thinking about the quote by Wayne Dyer at the beginning of this blog: “When you change the way you look at things, the things you look at change.” It really is true. We can’t make every creative endeavour a million dollar extravaganza. But with the right attitude, we can make our experiences far richer…for ourselves and those around us. If you live in the Sidney area, we will have our Pink Gazelle Cards booth at the Last Chance Christmas Gift Show on Dec 9th & 10th. That’s it for this week…have a good one! Next stop for this gypsy: Sadie and I are heading up-island to the Kingfisher Resort and then Qualicum Beach to tackle the Saviour play rewrite. Wish me luck! You quoted Wayne Dyer, what an inspirational man! 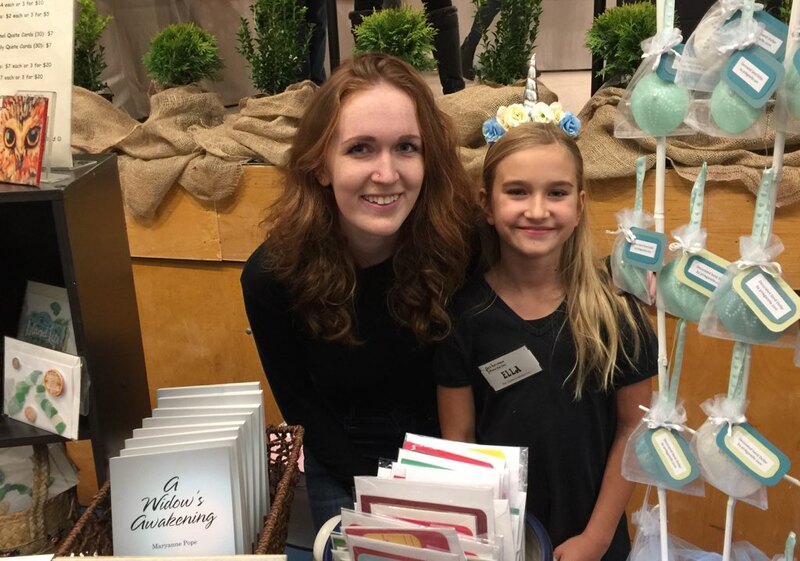 Your booth looks really festive and your little sales assistant looks to steal the show; who can resist a cute child selling products? Best sales tactic ever! YES!!! Ella was definitely a star at the First Chance show. She is an excellent salesperson and was a tremendous help during set-up, too! beautiful stuff! If you ever want to do a craft show on the mainland I would help you out! YES! Let’s aim to do that next fall! !